A continuous residence in London of eight years has satisfied me that precisely such a book, so far as it relates to that city, which my friend and once junior legal associate now presents is popularly needed. 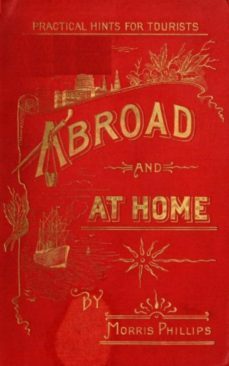 That in such respect it will be vitally interesting, even to readers who have never been tourists thither, “goes without saying.” Moreover, there are in these pages views, comments and sights of the “abroad” and “at home” additionally valuable; therefore I gladly accept his invitation to prepare a short preface to this volume of an American M. P. in the Parliament of Letters. He first broached his idea of papers about London at a capital luncheon, when meeting together there we discussed with palates, forks and wine glasses a tempting menu during the summer of 1890, as guests of Host Vogel, of the new Albermarle Hotel in Piccadilly, at the top of the historic St. Jamess street. We then and there drank success to the M. P. idea, and I doubt not, that every reader of this volume will be disposed to heartily duplicate that toast at his first dinner which shall follow its perusal. When a tourist first arrives in London, beneath the inviting shadow of the Northwestern Railway station hotel, that is flanked by two smaller inns and its centre pierced by several taverns, or direct from Southampton at the Waterloo station, within rifle shot of which a score of hotels invite his luggage and his wearied frame, that tourists earliest question will be, which hospitable caravanserai shall I patronize? His second question will concern his vehicular desires for transportation by cab, bus or railway. Other queries will suggest themselves regarding the “How,” the “Where,” the “Which” and the “Why” of his new London surroundings.